Honda CRF110F | SA Motorcycles. A mini bike with massive appeal. 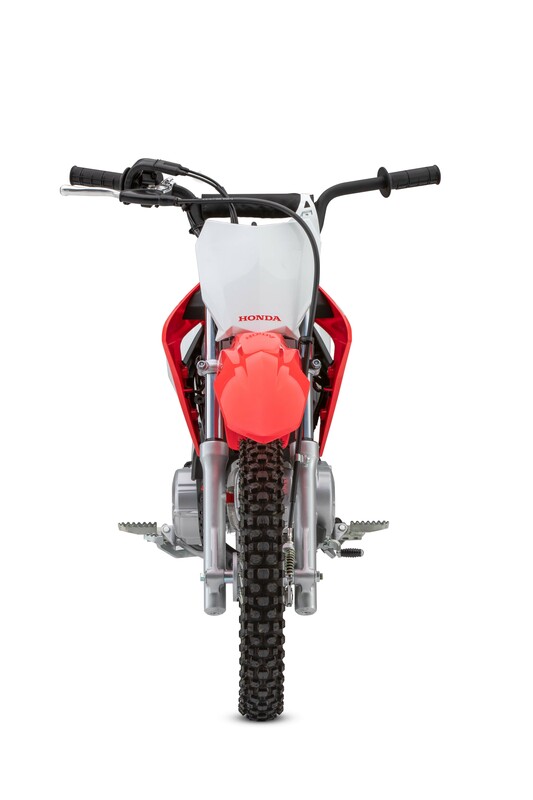 Designed for the younger generation of off-road riders, this new CRF boasts a brand new engine with electric start, a new chassis plus CRF450R motocross styling all rolled into one appealing package that is ready to outperform the competition..
Honda is excited to reveal a brand new addition to the CRF family. Meet the new CRF110F, a mini bike with massive appeal. With a bore and stroke of 50mm x 55.6 (as opposed to the CRF70F's 47mm x 41.4mm) the CRF110F's air-cooled two-valve SOHC engine now displaces 109cc, rather than 72cc. Power and torque figures rise resulting in greatly improved performance everywhere in the rev-range, and much stronger and more consistent drive out of corners. The automatic twin clutch system features two types of independent clutch -one for starting, the other for shifting-that makes changing gears easier and smoother than a conventional system. 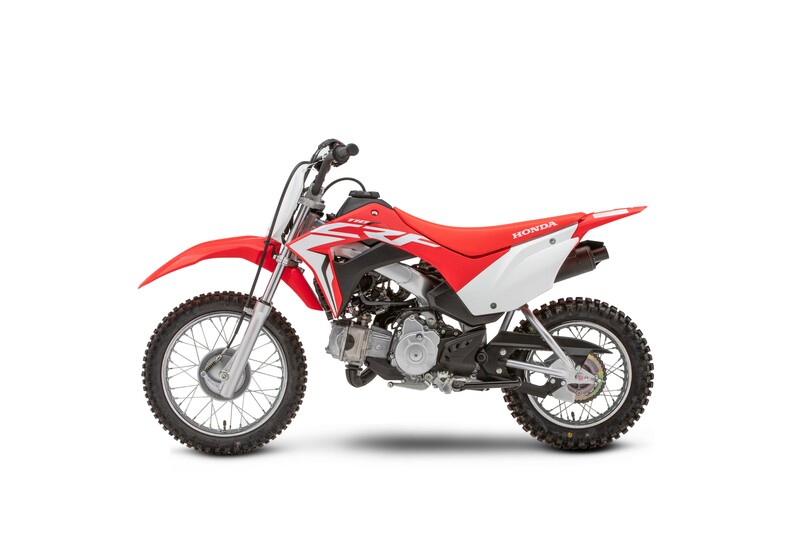 Looking to take the CRF110F for a test ride? Tell us when it suits you and we will be in touch to confirm the time and bike availability. 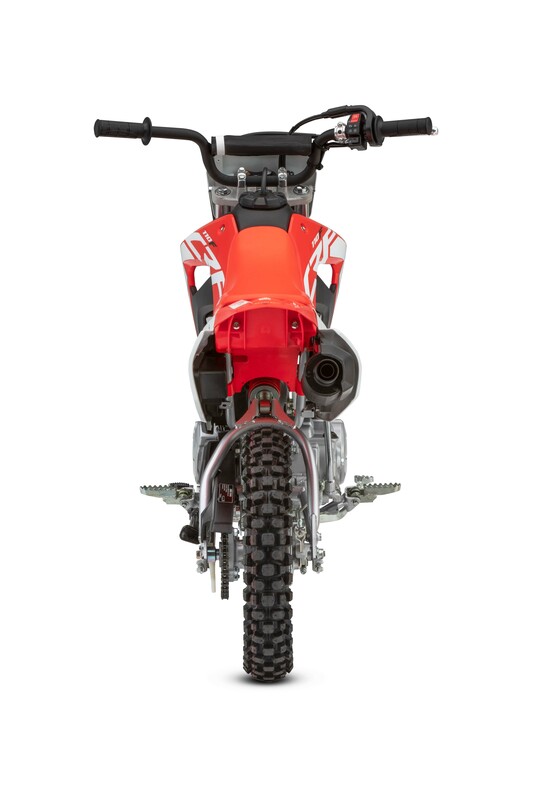 Want to know more about the CRF110F? Our sales team have years of experience and can help with your enquiry.